Vivint Home Security is a smart home technology provider that lets you control many things in your home, from security to energy management. As homes become smarter, you want to know that you’re getting a robust and secure home security system at a price that won’t break the bank. When it comes to finding the best bargain for your smart home, and the best security for your family, there are many variables to consider. Does the company require a contract, and for how long? Can they integrate with your current smart devices? Every system has pros and cons, the most crucial part of choosing one for your smart home is making sure that it fits your needs. What Is Vivint Home Security? Vivint Home Security offers a range of services related to home control and security. Download the Vivint Smart Home app, and you’ll be able to control your smart home wherever you are. Whether you want to lock the doors at a specific time of day or night or want to manage your energy usage, it’s as easy as touching a screen. Ultimately, Vivint Home Security aims to enable you to maintain, manage, and safeguard your home all through one system. The Vivint SkyControl Panel is a seven-inch display that lets you manage all aspects of your home. It is simple, user-friendly, and allows you to control your home, whether that’s adjusting the light settings or locking doors. 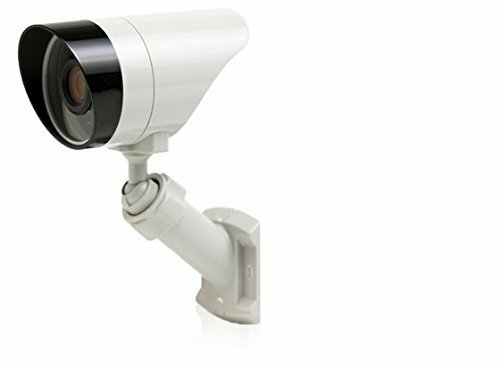 What’s more, you can also monitor activity through your security cameras. Also, if you find someone on your property, or you are worried about anything, there’s also a panic button on the control panel. Clicking that will allow you to reach out to someone right away. Vivint Home Security offers a range of cameras with different features. The indoor camera is known as Vivint Ping, while the outdoor camera comes with night vision and Wi-Fi connectivity. The doorbell camera also comes with night vision, and lets you view and talk to visitors on your porch even if you’re not at home. What’s more, you can also choose to keep up to a whole month’s worth of video footage, which can be easily searched using event markers. 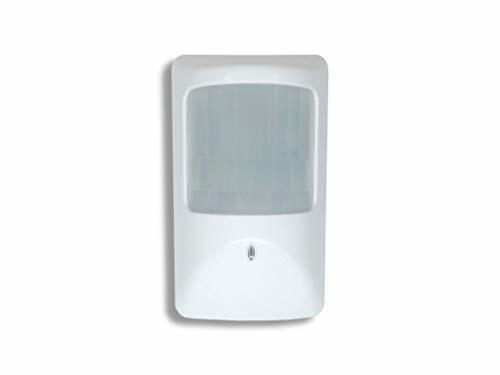 Motion detectors are often a crucial part of any home security package. This is because motion detectors not only alert you if an intruder is on your premises, but they also help you monitor children or pets to ensure they are accounted for and safe. 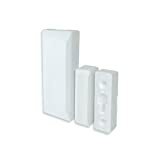 As such, Vivint offers two types of motion detectors that take advantage of infrared technology, as well as a 90-degree look-down capability. To offer the total home control package, Vivint can also provide internet access for your home. What makes Vivint’s internet services particularly attractive is the fact that Vivint offers fast internet speeds of up to 100 Mbps. What’s more, you won’t be subject to any sudden or hidden price increases. For added peace of mind, Vivint offers round the clock monitoring. This means that, if an emergency does arise in your home, someone will be able to deal with it for you. For example, the Vivint SkyControl Panel offers a two-way communication service. This lets you reach out to someone if you need and ask for assistance. Further, Vivint has certified experts who come and install the Vivint home control system for you. The benefit of professional installation is that it is stress-free, and perfect for anyone who is not DIY-savvy. They also offer a free one on one consultation before the installation to discuss how best to set up your smart home control system. Vivint provides a smart home control system that fits in your budget. You can reach out to Vivint either by calling 844.547.5387. Alternatively, you can go to their website to complete an inquiry form or speak to a member of the team in an online chat. Once you’ve reached out to Vivint, their staff will discuss your needs and the best package for you. Plans usually start from $39.99 a month. However, some plans will be more expensive. Vivint’s fees are generally considered to be a little on the pricier side to some competitors. However, Vivint offers some features, such as energy management, that other home access systems do not. Vivint Home Security is not alone in the home control and security market. Anyone looking at purchasing a home access system could also look to brands such as SimpliSafe and Frontpoint Security for their needs. We compare Vivint Home Security against these two other brands below, based on installation, contract length, and customer service. SimpliSafe and Frontpoint both offer DIY installation designed for easy and relatively stress-free connection. On the other hand, Vivint Home Security requires professional installation. Whether or not you consider professional installation a benefit or drawback will depend on your preferences, and whether you’d be happy to set-up a home security system on your own. However, it is something that you should factor in when choosing between these three brands. SimpliSafe, like Vivint, allows you to pick and choose the hardware you would like for your home, and choose from a variety of monthly plans. SimpliSafe also offers customers the flexibility to amend or cancel their plans at any point and does not offer contracts. Frontpoint offers three different flexible packages, with options to change the hardware or the package components so that it best meets your needs. Frontpoint’s contracts can be pretty long, ranging from 12 to 36 months. However, Vivint only offers pretty long contracts, with starting plans that are more than 36 months. So really, it depends on how happy you are having an extended contract with a home security provider. Frontpoint receives high marks for their customer service. For example, sites such as Consumer Affairs have given them 4.3 stars out of 5. Vivint home security reviews do not rank as highly on customer service as Frontpoint. However, they still reach a 3.8-star rating from Consumer Affairs, which is not too bad. However, both Frontpoint and Vivint rank higher than SimpliSafe, which only scored a 1.6 out of 5 in the past year from Consumer Affairs. As with any product or service, there are always aspects that perform well, and some items that could see some more improvement. We outline the pros and cons that have arisen from various Vivint reviews below. Overall, the Vivint home security package provides a wide range of hardware and accessories. That makes it easy to choose what aspects of home access and security you most need. Vivint provides a lot to love, from its high-quality doorbell camera to its wireless connectivity and energy management capabilities. However, Vivint isn’t the best for those deterred by long contract lengths. Their relatively high prices and average customer service scores are also important to consider. Although Vivint is perfect for anyone looking for an advanced, all-in-home home control system, Vivint won’t be for everyone. Zigbee vs Z-Wave: Which is the Better Wireless Technology? DIY Solar Panel Installation: Will That Work For You and Save Money?